Many medical imaging system or clinical medicine students may be confused when they choice to be a Sonographer and work in ultrasound scanning department of hospital. Because they are confused with these problems : how to find the organ ， how to scan a standard tangent ， how to make a fully scan to the organ and how to know the picture direction etc. problems . And it is the problems for all novice Sonographer. 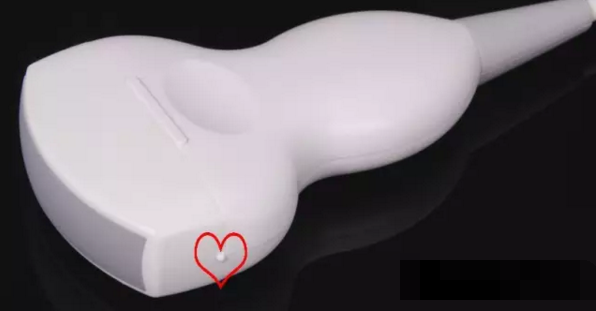 There is one mark on one side of ultrasound machine probe (see heart-shaped in above picture), the direction that mark points to is at the above of diagnostic picture (see heart-shaped in below picture, the mark will be different with different ultrasound machines). The mark direction of ultrasound scanner probe normally at above or at right of diagnostic picture when make a standard tangent. But it apart from special tangent such as left kidney ，splenic organ etc. It is wrong that many novice Sonographer make a fixed point and a tangent scanning after they see an organ shows up. make alternate ultrasound scanning with Longitudinal section ，cross section ，oblique section . Make a fixed sector scanning. Find out the focus then make a fixed rotate scan and look into the focus form and ultrasound echo pattern etc. Make a ultrasound scanning from top to bottom, such as cross scanning thyroid gland you need to scan from bottom to above. You need to know every organ normal ultrasound diagnostic picture, otherwise you don’t know what that is! Get to know the normal size, Doppler waveform and the normal reference value for every organ. 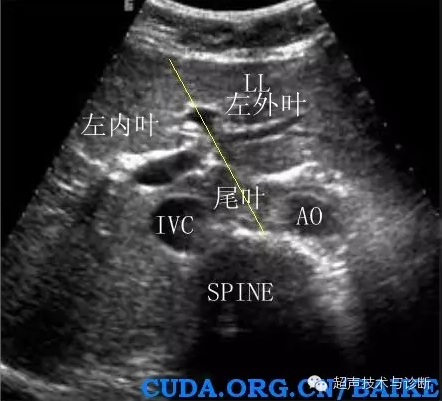 ultrasound incident angle is more small will more good when making Ultrasound Doppler sampling. Normally the patient position will affect this so the incident angle needs to be less than 60° . That all we can say about how to using ultrasound machines now, hope this ultrasound scanner operation guy will be helpful for novice Sonographer. Please leave your comment if there some deficiency we will make it right in time .Thank you!